PERF BOTTLE 750ML STAY HYDRATED AS YOUR WORKOUT HEATS UP. Dishwasher-safe and BPA-free, this w.. TRAIL BOTTLE 750 ML A REFUELLING BOTTLE FOR ON-THE-MOVE TRAIL RUNNERS. Stay fully fuelled on y..
WATER BOTTLE 500 ML A BPA-FREE WATER BOTTLE FOR TRAINING. 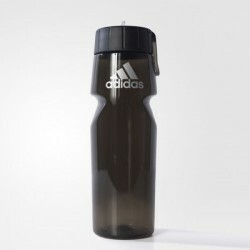 Stay hydrated during your training s..
WATER BOTTLE 500 ML Stay hydrated during your training session with this water bottle. It has a s..